If I had known this one business plan writing tip before I got started writing, it would have saved me a lot of time. And the business plans I’d written back them would have been stronger and would have had more clarity. The tip is this: use facts. A business plan is a blueprint. It is a written outline that focuses on how your business or organization is structured and funded. It’s different from a strategic plan, which explains the “what” – what kinds of activities you do. Instead, a business plan explains the “how” – how your activities will be organized, conducted, funded, and marketed, funded, organized – to demonstrate credibility. Why is it so important to give facts (as part of writing to persuade) when writing your business plan? Take a moment to think about who sees the plan: you, your executive team or board of directors, your investors. 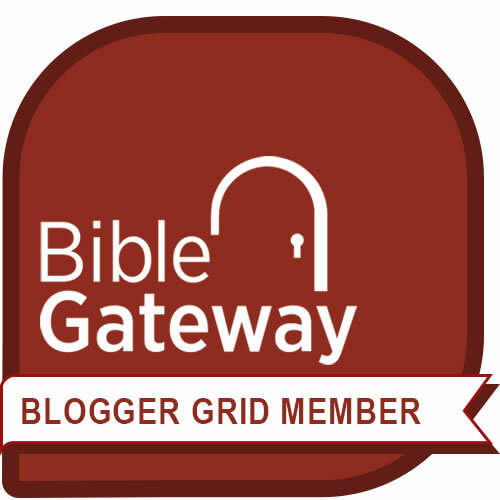 These are not primarily customers or people who benefit from your services. They are key stakeholders. Their responsibility is to ensure that your business will work, whether it’s a commercial enterprise, a church, a nonprofit organization, or a sole proprietorship. They embrace your vision and may love your work. It’s precisely for that reason that they want to make sure you can pull it off. They need facts to help you make sure you can do the work you’ve been called to do. When it comes to this kind of audience, facts are the most persuasive content you can include. So give them the facts. Specific numbers. Here is where statistics, program data, and percentages will be your best friends. They are concrete, demonstrating tangible information. Specific examples. Offer a brief anecdote about an individual person and use that anecdote as an illustration or case study to demonstrate needs, trends, or outcomes. Specific authorities. Where possible, cite market analysis and documented research by experts in your field. Use facts in each of the 7 elements of your business plan: the executive summary, needs statement, market analysis, program description, operational structure, marketing plan, financial plan, and of course the appendix. Use the data to make the case for each element. For instance, in your program description, record measurable outcome goals. In your operational structure section, list roles to be filled. Who will fill them? What qualifies these people to carry out this work? In your financial plan, use realistic, documented data to show program costs. Your marketing plan needs to demonstrate specific channels you will use, facts that demonstrate why you chose those channels, and how your campaigns will be structured. Give specific information to back up your statements. One function of a business plan is to show credibility so that stakeholders feel confident moving forward. 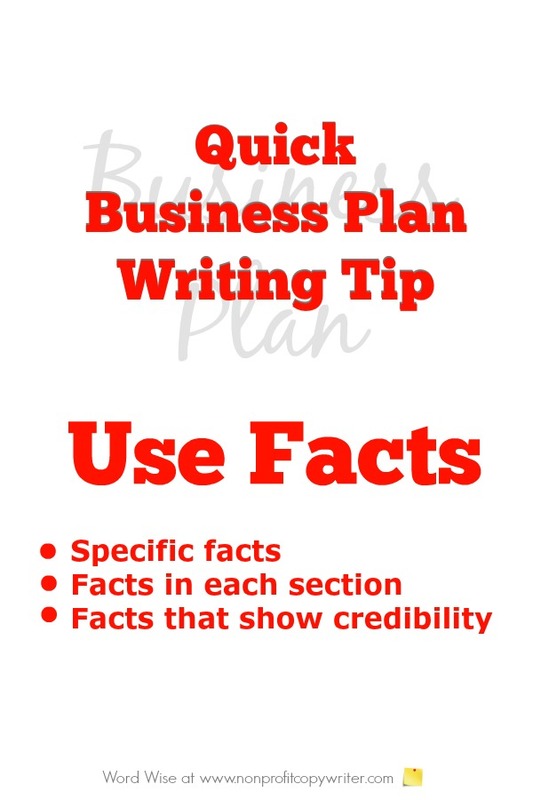 When writing a business plan, use facts to demonstrate credibility. Cite facts from others who have implemented a similar idea. Do you have a prototype or model to follow? Show its successes and stumbling blocks. Indicate distinctives. Show how your plan is different from these others. What makes your work unique? What need does it meet that others don’t meet? This is a crucial piece of information as it will drive operations. It also demonstrates to your stakeholders that you have thought things through. Note variables. What might impede your success? How can you overcome those obstacles? Your key players will ask those questions anyway. You can save time, embarrassment, and setbacks by addressing those roadblocks upfront. Give the facts about your track record. If you’re writing a new business plan for a first-time project, then record facts about your personal track record in other projects. If you’re updating a business plan for this year, show how past business plans have successful. How have circumstances changed and what will you differently this time around?